I love seasonal wreaths. They can bring such warm, natural accents to a home. 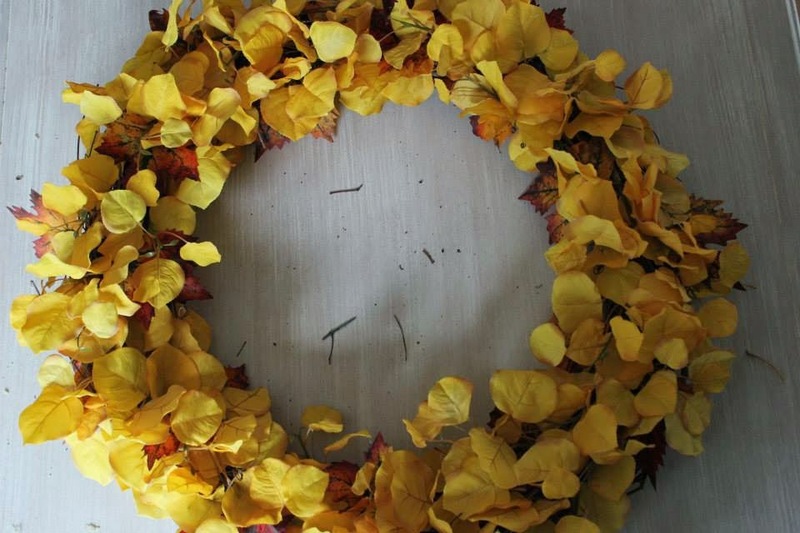 I've been crushing on a few autumn wreaths recently. The only problem is they're pretty pricey. 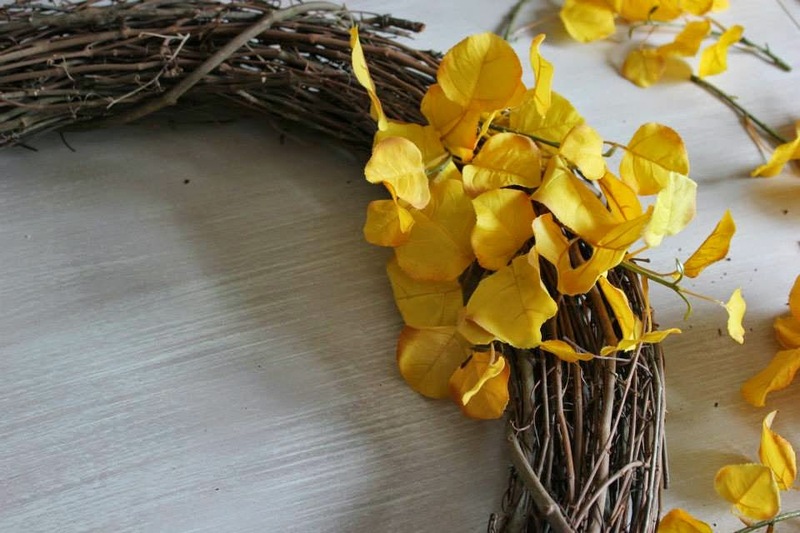 With the holidays on their way, a super expensive wreath is not in the budget. So, I decided to get my craft on & make one myself. I headed over to Michaels. 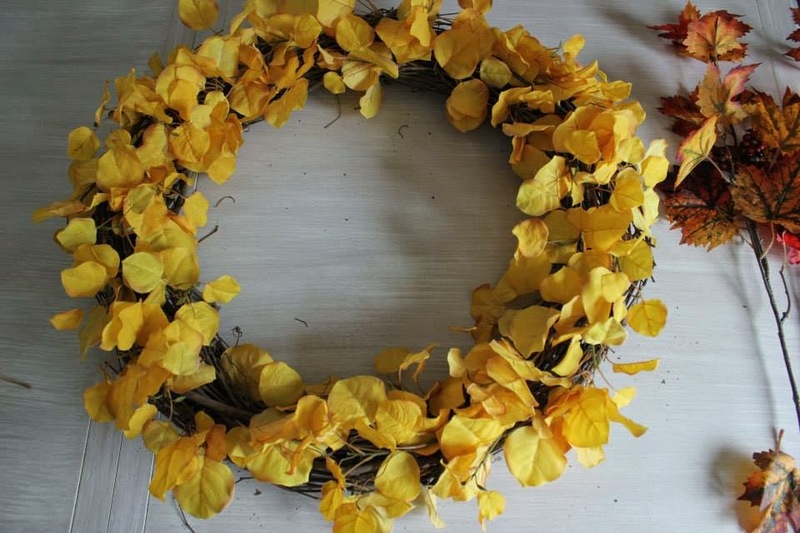 Even wreath making can be pricey. 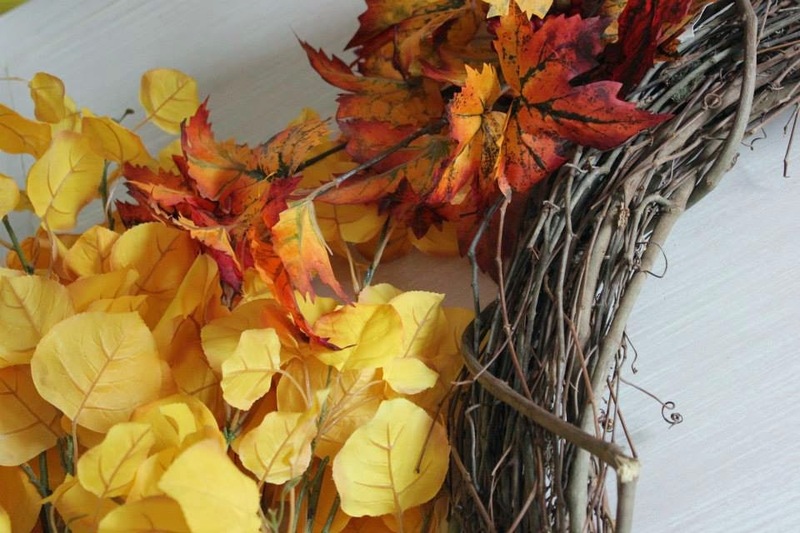 Items from the Floral & Decor section of craft stores can quickly add up to lots of money. Luckily, it was after Halloween & all the Christmas decor was already out. Fall decor was 80% off. Pair that with 20% off your total purchase & 40% off one non sale item coupons, & I bought $100 worth of materials for just over $17. There are many different kinds of wreaths to start with as backings. I went with a grapevine wreath, because it was less expensive than many of the other options. It wasn't as fancy, but it had the natural, rustic look I was going for. When it comes to wreaths, I like a simple look. Some of the seasonal wreaths I've seen are a little too much for me with glitter & bows & 5,000 different elements. Oh my! 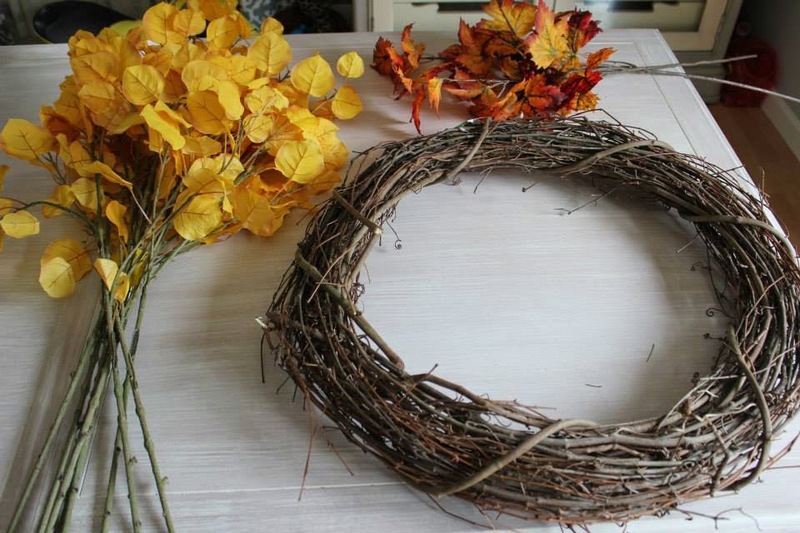 I like wreaths that are simple & natural, although not completely natural. I've seen wreaths made with real leaves (& we had beautiful ones in our yard), but I wanted a wreath that we can reuse throughout the years rather than one that would only last us this season. For the sake of simplicity, I only grabbed two different kinds of leaves to work with. 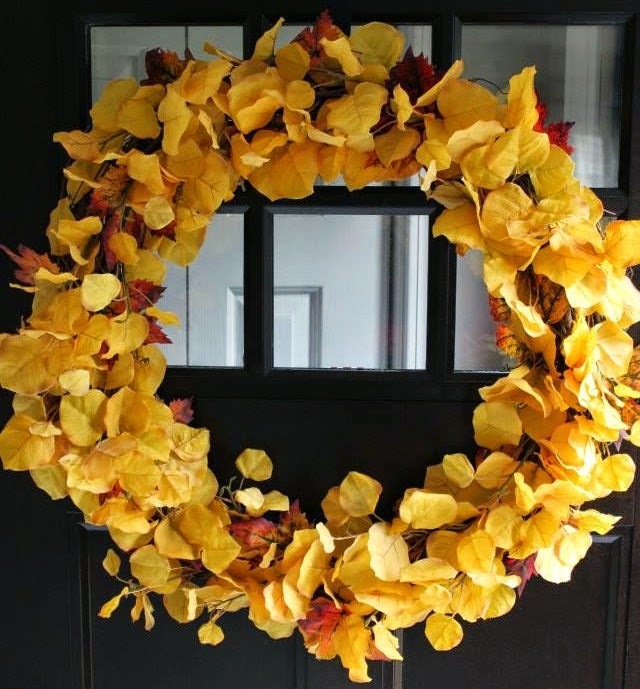 I bought 7 or 8 bunches of bright, yellow leaves (I put them on top of the grapevine wreath while in the store to estimate how many I would need to cover the wreath). Then I grabbed a couple bunches of the maple looking leaves that would provide red accents. I cut the bunches of yellow leaves into smaller segments, leaving just an inch or so of the stem in each small bunch. Then I loosely placed the leaves around the wreath. I wanted to get the spacing just right, before I permanently tacked everything into place. I originally thought I would use the glue gun to glue down each piece, but I soon realized each piece fastened well just by shimmying the stems into the grapevine wreath. Once I had the yellow leaves spaced out along the wreath just right, I began adding the red leaves here & there. I like how placing the red leaves underneath the yellow leaves provided little pops of red without overpowering the whole wreath. Since I was working with single leaves at this point, I used the glue gun to securely fasten them. Then I gathered the single yellow leaves that I had left over & filled in any empty spots I could see. In a little less than an hour, I had the rustic, natural look I wanted for a fraction of the cost of seasonal wreaths I had been crushing on. I love the bright, cheerfulness it brings to our front door. We've already had snow flurries & the majority of the bright leaves in our yard have faded to dull brown colors. 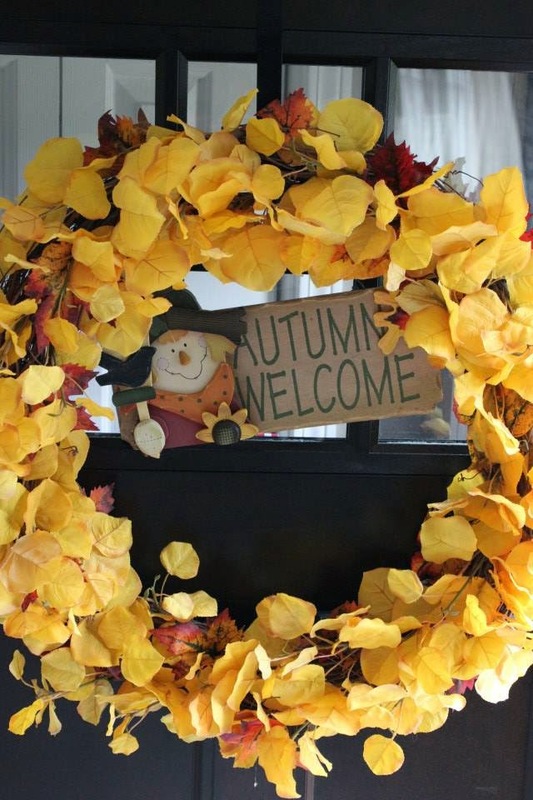 Our wreath celebrates our love for New England's autumn colors the whole season long. It's like a coming home to a warm smile, one that we can reuse year after year. Not bad for $17.